In a competitive global environment, the Tax, Finance & Accounting function is the most rudimentary component of any enterprise. Chief Financial Officers (CFO’s) of leading organizations are leveraging outsourcing as a strategy to change their operating models. Increasing regulatory compliance, cost reduction pressures and demands for a closer alignment to the business are driving organizations towards new finance and accounting operating models. 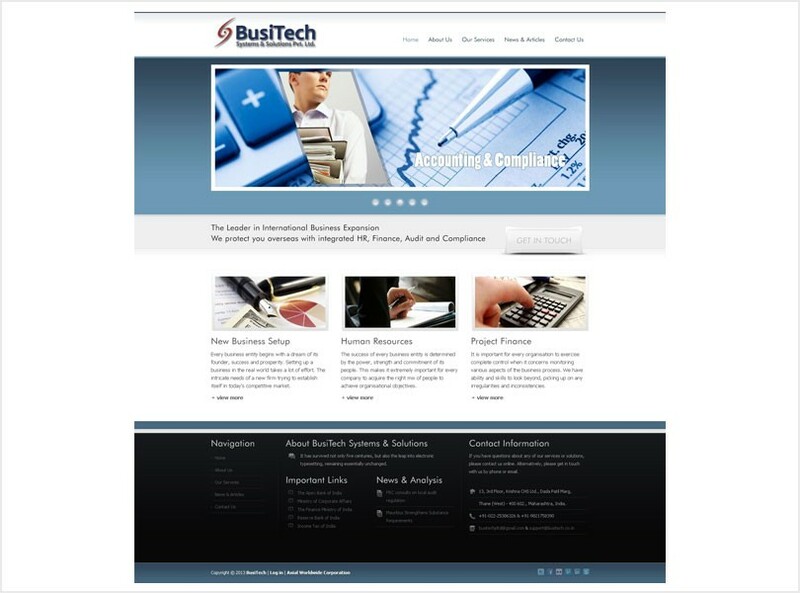 BusiTech Systems & Solutions ‘extends your enterprise’ by leveraging its deep finance and accounting functional expertise, industry intimacy, focus on operational excellence and global delivery model. CFOs outsource finance and accounting services to BusiTech that allow their internal teams to focus on core business issues. BusiTech delivers a solution that standardizes financial service processes, transforms finance operations and lowers costs. In a competitive global environment, the Tax, Finance & Accounting function is the most rudimentary component of any enterprise. Chief Financial Officers (CFO’s) of leading organizations are leveraging outsourcing as a strategy to change their operating models.